Another state of India, intro of which is incomplete without the mention of ‘snow’ or ‘Him’, is none other than Himachal Pradesh. Its continuous association with Himalayas gives it a firm reason to extend invitation to the adventure seekers as well as romancer of Nature. And in these silent tracts of divine, finding God is comparatively easy as many tourists would swear by. 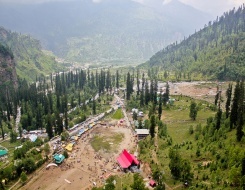 With exotic valleys, high passes, snow-capped mountain slopes, natural flowing rivers, lust green forests, beautiful waterfalls, meadows and high hills of the Himalayas, Himachal is certainly one of the hot tourist destinations for the adventure lovers. 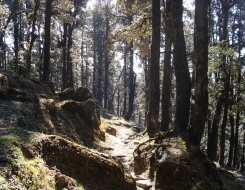 The place is also famous for its incredible natural beauty and fascinating stories of the past. 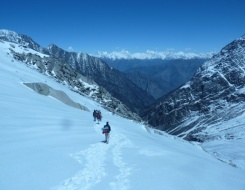 If you want to experience the ultimate adventure and fun in life, then planning the adventure expedition holidays in Himachal is what can satisfy your lust for adventure. At Peak Adventure Tours Private Limited, we offer various thrilling adventure tours to match your needs and growing demands. 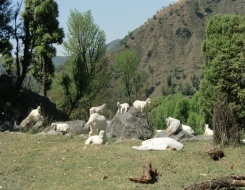 We offer an interesting range of expedition tours in Himachal. These include river rafting, motor biking, mountain biking, peak climbing, jeep safari and trekking expedition tours. You can enjoy any of these exciting activities during your expedition holidays in Himachal and many beautiful and cherished moments with your loved ones. 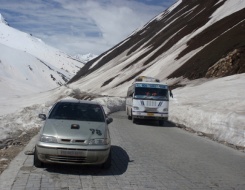 One of the most exciting ways to explore the environs of any place is through the road. A jeep safari in Himachal is one of the perfect means to release the adventurer in you who is not only an adventure lover but also an explorer at heart. We at Peak Adventure offer you the perfect opportunity to undertake a journey, which will be one of the most thrilling and enriching experiences of your life. All through your jeep safari expedition, get drenched in the exotic charm of the snow-clad Himalayan peaks, fascinating valleys, colorful orchards, exquisite lakes and a pollution free skyline. 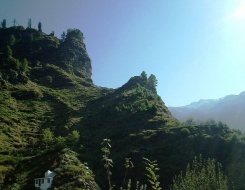 By going further and further into the depths of the Himachal, you will be introduced to the subtle to apparent variations in the colors of mountains, rivers, lakes; types of vegetations; kinds of traditions and dialects; and the religions people follow. 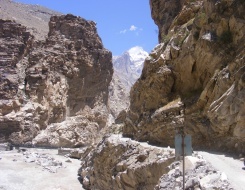 The cold, rugged and desert terrain of Lahaul and Spiti, Leh and Ladakh may leave you in a state of trance with their quiet and bewitching surroundings. The best time to embark on a jeep safari is from June to mid-October. Don’t delay this excursion of a lifetime for long. Get ready to experience the feeling of being one with the landscape; dream of the perfect biking expedition and we at Peak Adventure will make it true for you. A Motor Biking Safari in Himachal would give you the pleasure of realizing your love for riding along with your thirst for exploration. Motor biking tour in the less traveled pathways of western Himalayas will take you through high mountain passes of Rohtang La and Kunzum La, while showering all your senses with delight through the sights of various scenic valleys, remote villages and snow-capped peaks. 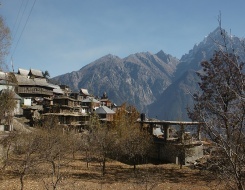 You will also get to experience the spirituality and tranquility of various monasteries which are placed in the calm of Himalayas. 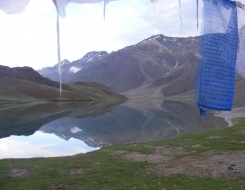 From the orchards and lush green forests, get transported to the cold and dry land of Lahaul, Spiti, Leh and Ladakh. Also, witness the array of different traditions, customs and dialects as you move further in your journey. 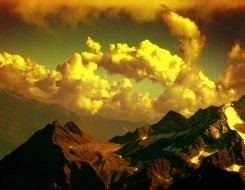 Himachal Pradesh literally means “in the lap of Himalayas”. It is thus easy to imagine the kind of climate a peak climber is going to enjoy while getting organised for the summit reach of the chosen peak. 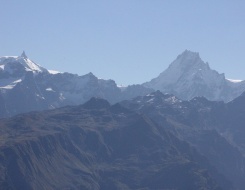 There is no match when it comes to the proffering to adventure holidayers, in context of trekking or peak climbing in Himachal Pradesh. 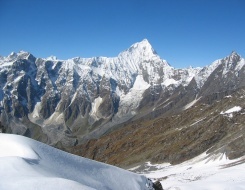 Alirathni-Tibba, Behali Jot, Devachan, Deo Tibba, Gangstang, Hanuman Tibba I & II, Indrasan, Kangla Tarbo I, Kangla II, Kao Rong, Kharcha Parabhat, Makherbeh, Menthosa, Papsura, Tent peak, Tiger Tooth and White Sail (also called Dharam Sura) are some of the widely climbed peaks of the region. 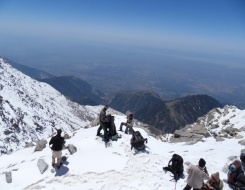 Himachal peak climbing expeditions thus offer great versatility is climbers are looking for altitude ranging from 4570 m to 6450 m. For most of the peaks, the base is Manali from where the mountaineer takes on the climbing challenge that is thoroughly technical in nature. 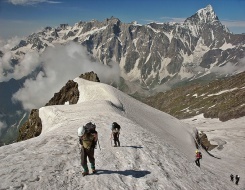 Adventure holidays on mountains come with strategic preparations that include permission or licenses. 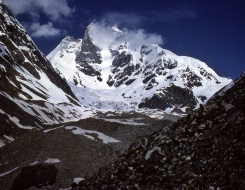 In the case of peak climbing in Himachal, Indian mountaineering foundation (IMF) has to approve and permit the expedition by accepting IMF peak royalty fees. Other fees include Walky Talky Fees (Import and Operation), Liaison Officer, Environment Levy and Himachal Pradesh Government Fees, which could be extended to Restricted Area Fees (as applicable) as well. 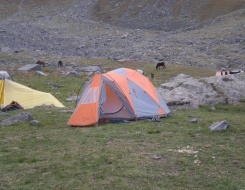 So, ready for the peak climbing holidays in Himachal Pradesh, are you? Himachal Pradesh is among the states that are identified by their signature climate being at the foothills of the majestic Himalayas. Though not all the areas of the state have the similar climate due to enormous difference in the elevation from one place to the other, the characteristic make it more interesting to the visitors. These differences are a prime reason for the individual with their adventure streak to ride on their mountain bikes and measure the rugged terrains of the state, making discovery of sorts. Featuring many tourism and adventure sports options, the state is well known for various kinds of tours and safaris. Mountain Biking in Himachal Pradesh is one of them, meant to enjoy the holidays in new discoveries and revelations made by Mother Nature. Riding through Dharamshala that gets heavy rainfall is a completely different experience from traversing through Spiti and Lahaul Valleys that are arid and dry with no trace of verdant. Mountain biking tour in Himachal can be one fascinating journey through Manali, Shimla or valleys of Spiti and Lahaul which could also be extended to the Leh in Ladakh of Jammu & Kashmir. Paddle your way in what has the potential of one of the most endearing as well as enduring trip doing mountain biking tour in Himachal. 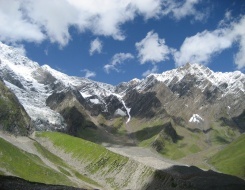 Get off the beaten track of the North-west Himalayan areas when you are on the expedition to the great Himachal Pradesh in India. Surely, enveloped by the grand Himalayan ranges and so is called Himachal Pradesh, the land residing on the lap of the Himalayas (snow), it's an entirely a mountainous region with altitudes ranging from 460 to 6,600 Mts. With deeply dissected photographic views, complex geological structure, and rich temperate flora in sub-tropical altitudes, Himachal Pradesh brings a perfect opportunity to enjoy the natural beauty, historical places, wildlife and vivid flora & flora of this exotic location. 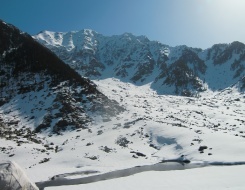 Trekking across the criss-cross routes of Himachal’s snow bound peaks brings astounding natural surveillance and that includes the fabulous locations of Manali, Chamba, Sach Pass, Dharmshala and Shimla. 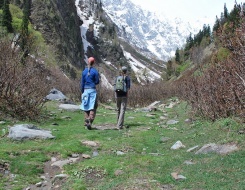 Trekking in Himachal enjoys the greatest popularity due to incredibility of the geographical terrain and the region is also feasible for other adventurous activities including rock climbing, hang gliding, skiing, white water Rafting and of course mountaineering. 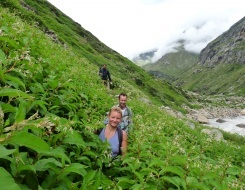 Promising for a great communion with nature with its bourgeoning beauty, lushly riverines, snow-capped peaks, the fruit-laden orchards, gurgling streams and the dense forests; trekking tours in Himachal has the picture perfect image all around the North India. 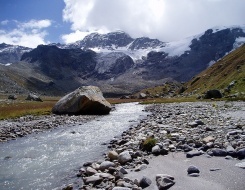 There are four mountain ranges running almost parallel to one another in Himachal Pradesh and thus bringing charming and beautiful valleys and passes preferable for trekking. 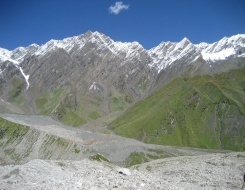 There are numerous passes on these ranges connecting valleys, making ideal trekking routes for all types of trekkers. The stimulated hikers can cross one pass and return over the other or proceed further to cross another path on the next range. 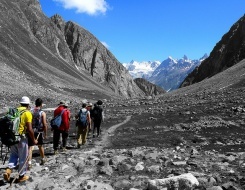 With around two dozen passes on the Dhauladhar, a dozen over the Pir Panjal range and 8-10 such passes over the Great Himalayan range to cross over to the Zanskar valley; Himachal offers a virtual bonanza for the thrilling trekkers.